Mongoose was, or rather, IS one of the iconic BMX brands and has been since way before most of you were born. With riders like Ruffell and Rupe spending most of Fifteen’s formative BMX years on a Mongoose it meant the pursuit of the ‘supergoose’ became all-consuming at one point! 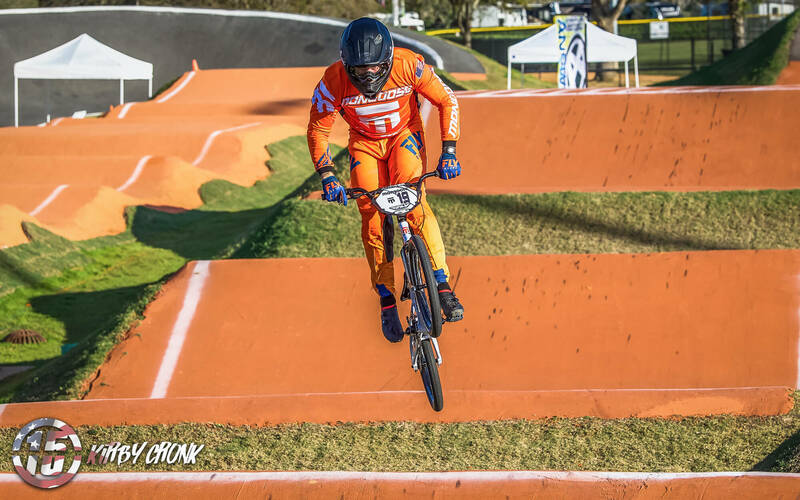 15: Mongoose is such an iconic brand in the sport so it was great to see you guys return to BMX racing in late 2017 … what was the driving force behind the decision to get back on the track? Mongoose: The idea really began at the track level. We started having conversations with parents and track operators. It was clear that there was a major void in the market for complete race bikes at an affordable cost. We saw it first hand with families participating in beginner racing leagues where a parent would find out the cost of a typical race bike, plus helmet and kit, and that would be their last time at the track. We saw it as an opportunity to do what we do best and design a high-quality, affordable line of bikes for families looking to join the sport. 15: Once the decision was made, how long did it take to get all your ducks in a row and announce to the world you where back in the sport? Mongoose: We’ve taken a grassroots approach to re-entering the race scene. Rather than trying to make a huge splash with a factory team of pros, we decided to work with local race teams, regional tracks, and families new to the sport to get buy-in on the Title series race bikes. Since our re-launch we’ve seen a steady growth of our race bikes and we believe the growth is primarily due to word-of-mouth. 15: Are we going to see you guys trading on your rich heritage, and by that we mean … will we see nods to the past in things like ads, team kits or even bike/frame names? Is that history important to Mongoose in 2019 or are you completely focused on pushing forward? Mongoose: You’re going to see a mix of both. Mongoose has a rich history and it’s important that we find ways to celebrate that, but we also need to speak to the next generation of riders as if it’s there first exposure to the brand. If we can do that while giving a nod to the past, it’s really the best of both worlds. I guess you’ll have to wait and see what we come up with. 15: You came in with what looks like a solid line of entry level bikes … what was the thought process to coming back at that end of the market? Mongoose: There didn’t seem to be many options if someone wanted an affordable complete race bike. As an industry, if our goal is to attract more kids and families to racing, we can’t price them out of the sport before they get started. We designed the Title series to be the ultimate value proposition. They look great, perform really well, and don’t break the bank. 15: We tested the 2018 Title Elite frame, via Gate8 BMX in the UK, which is a great piece of design for the level of bike, have you any plans to develop / release a high-end frame to put Justin Posey on? Mongoose: We appreciate the kind words on the Title Elite. We wanted to bring a pro rider of Justin’s caliber on board to not only inspire young kids, but also showcase the Title Elite as a bike frame that can stand toe-to-toe with any ‘high-end’ frame in the world. 15: Speaking of Justin … how did that deal come about? Obviously, you both have a connection via the USA BMX Foundation. We love that you’re supporting an Elite rider! Mongoose: We’re super pumped to have Justin aboard Team Mongoose. We’ve been fans of his riding abilities for a long time, but we’re equally impressed with the work that he’s doing off the track for the Foundation. It took all of ONE meeting to know that we had to have him on our roster! 15: Do you have any plans to add any more Factory riders at Justin’s level? Any Elite Women on the cards? 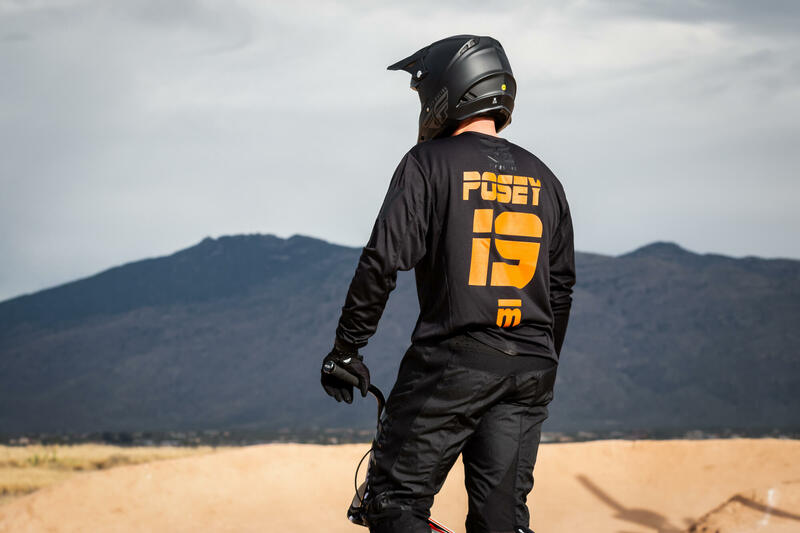 Mongoose: It’s been 13 years since we’ve had a pro BMX racer on a ‘Goose, so we’re going to focus on supporting Justin the best way we can and see where that leads us in 2020. Having said that, we’d love to add an Elite Woman to the roster! 15: How about a European Pro … a big part of our youth was looking at Andy Ruffle tear it up on a Mongoose! Mongoose: Posey is heading out to Manchester in April for the UCI BMX Supercross World Cup, so hopefully he’ll be able to recruit a rider for us  In all seriousness, I hope that the Andy Ruffle reference leads to a ton of searches for him on Google. Mongoose legend for sure! 15: You had a big Mongoose presence at the opening USA BMX Pro Series in Black Mountain, is there a plan to roll that out to other events this year? Mongoose: Black Mountain was an awesome event. It worked out perfectly that one of our amazing race teams, La Revolution Café/Mongoose, out of Cali (led by Dwayne Taylor) had a bunch of racers competing in the event, so Justin had a ton of Mongoose support from the team and other riders for his first event. We’re looking to make a splash at some other major races like the upcoming Rock Hill National in SC at the end of March. 15: So, a year, or there about, back at the track, is it going to plan and what should we expect from you guys in the coming years? Mongoose: The response from fans and partners has been better than we ever could have imagined. We’ve managed to grow the Title series from four sizes in 2017, all the way to 12 bikes in 2019, which also includes the Title Elites. 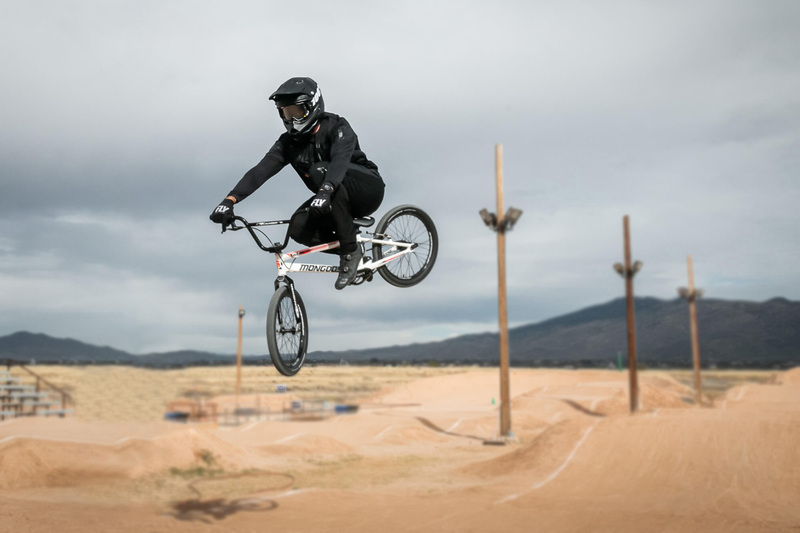 Now we’re looking to continue that growth with help from a pro racer whether that’s at some of the biggest stages in BMX race, or in an elementary school teaching kids about BMX for the first time. We’re definitely excited about what’s to come! 15: We’re only a couple of months into 2019 but it’s already been huge for you … new wife and a new team … congratulations! While we’re confident you knew all about your wife before committing 🙂 we’re wondering if you knew all about Mongoose and its history in the sport before you got together … we’re not sure what’s a reasonable age to assume todays riders know the brand … at least in the racing world? Justin: Haha. I’m young, but not that young! I am fully aware of the iconic brand and what Mongoose has done for the sport of BMX throughout the years. I may have a different image of riders though (Craig Reynolds, Jackle, Big Daddy, and Joey B) vs the old-school guys (Macpherson, John George, Fuzzy). I will say it is awesome seeing how pumped people get seeing the brand back in the industry. It says a lot about the brand itself. I couldn’t be more stoked to be a part of the new generation and the new push to bring Mongoose back into the race scene. 15: How did the deal come about, was it out of the blue, through USA BMX, random encounter? Justin: I was approached by the Mongoose team as they saw me not only as a Pro racer, but the additional work I was doing with the Foundation. From motivational speaking, working with our programs in schools, and much more. 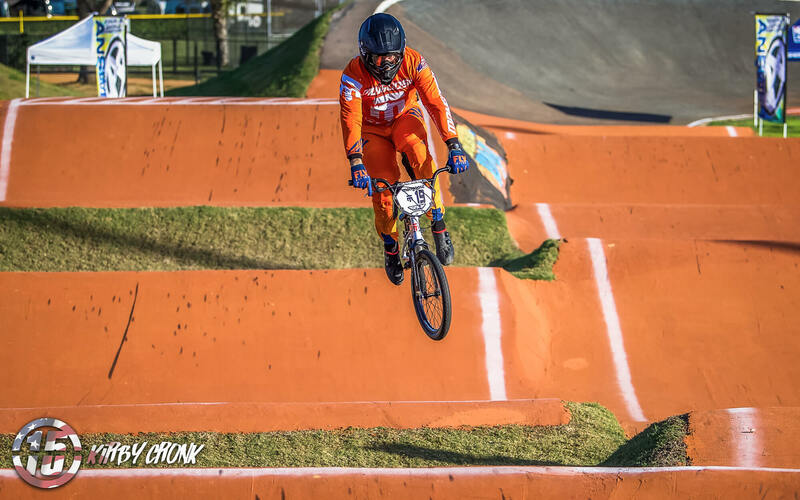 They love that I am a hardworking racer and high caliber rider, but they also value what I have been doing in the schools and spreading the word of BMX racing across the country. 15: You’re keeping your relationship with Answer at the same time, was that an easy arrangement to come to? We assume Mr. Sawyer was supportive of the move? Justin: First and foremost, John Sawyer has been a great friend, mentor, and sponsor to me. I can never thank him enough for all he has done for me over the years. I can’t say that he was thrilled that I would be leaving the Ssquared family, but he understood the vision and fit of what I am doing in my current role. It was a good fit for me at this point of my career and he understood and stood by me to provide me with the best parts in the industry. 15: You’re two races in on the goose, are you settling into your new home, happy how it’s gone so far? Justin: It’s been awesome! Mongoose has welcomed me with open arms. The outpouring of support from the industry has been incredible as well. Mongoose has been so nice, supportive, and encouraging thus far. The bike has ridden great and I am really enjoying it! I’m excited to see what the future has in store for us. 15: Was it difficult transitioning to a working relationship from a purely friends one? Justin: Not at all. We have been good friends for some time now and I think the reason it works well is because we respect each other. I don’t mind getting told the truth or that I did something wrong. If it is going to make me better, I’ll take it 100% of the time. We challenge each other. I was stoked he wanted to help me with my training. I also love helping him with his gym and therapy (although I’m not out there helping as much as I would like to be). 15: As well as riding for Mongoose you are also their ‘educational ambassador’, what does that involve? We assume it’s tied into your role at the USA BMX Foundation. Justin: It involves a few different aspects. My main objective is to go into schools before the nationals and give a motivational speech to the students. It is a great fit as I can inspire these kids to push for whatever they are passionate about (bikes, sports, grades, cooking, whatever it may be). Hopefully they get interested in BMX, but inspiring them and connecting with them about education is the most important part. 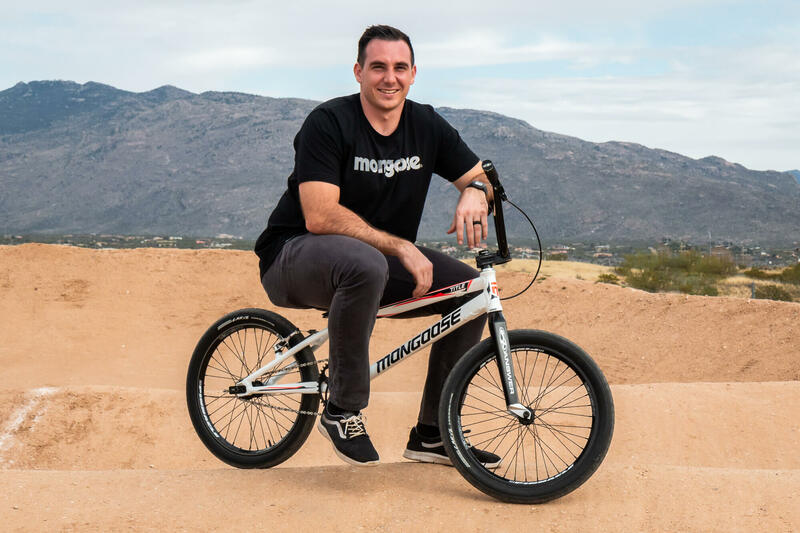 Having a well-known brand like Mongoose gives validation as well as the ability to go out and buy a reasonably priced bike to try BMX racing. Mongoose has every kind of bike you could ever want or need, so all in all its a great fit. 15: What’s on your calendar for the rest of the season? 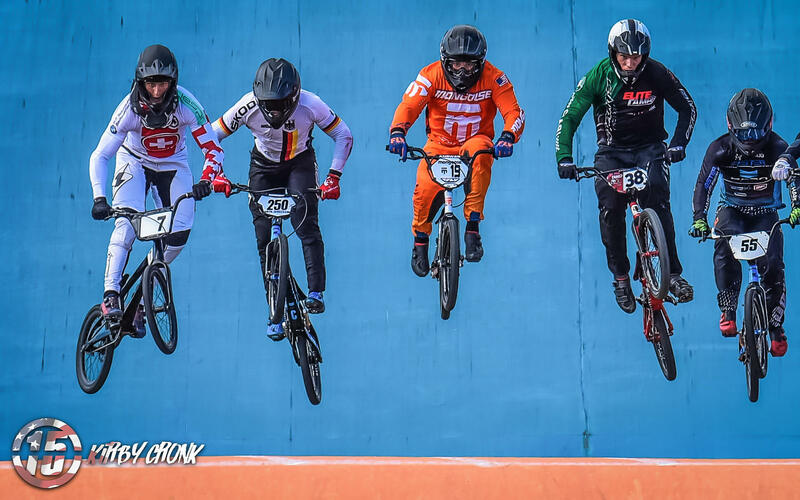 Will we see you in Europe for any of the UCI World Cups or will you be concentrating on the USA BMX season? Justin: Yes, you will see me in Europe! I plan on coming to Manchester in April and I have plans to hit a few more of the World Cups.